Once I'm sure of all the above mentioned things, I buy the product. Over the past couple of months, I've had a new list of favourite goodies in my Vanity kit (and a new Make up kit as well). Here's a sneak peek into my Vanity box. My one month old red blingy vanity kit. Although i would have preferred a pink one (for obvious reasons, as its my favourite colour), the red one is perfect. Its spacious and has enough room for most of my products. I'm a big fan of blushes in Hot pink. NYX blush in Pinky is just perfect. Just a small dab on your cheeks during Winter and you feel like the glow on your face is natural. Make sure you blend the colour properly. Avoid applying a lot of it on your cheeks, as they may turn into Doll pink which looks fake. In summer, just a slight stroke with the brush is enough to give my cheeks a fresh look. Its a matte blush which super soft & velvety. I had used the Maybelline rose pink blush for a long time before jumping onto this. Plus, when it ain't that hot, this blush does stay for a long time. 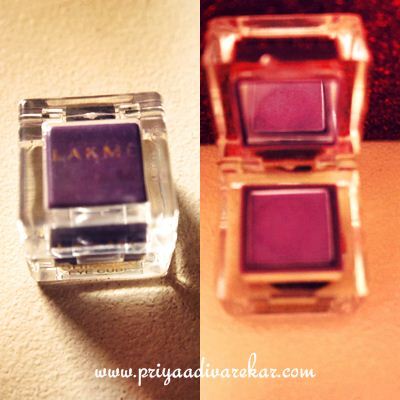 This is from one of my favourite eye shadow collection﻿s by Lakme. The eye cubes are extremely handy and also have a small mirror for mini touch ups! 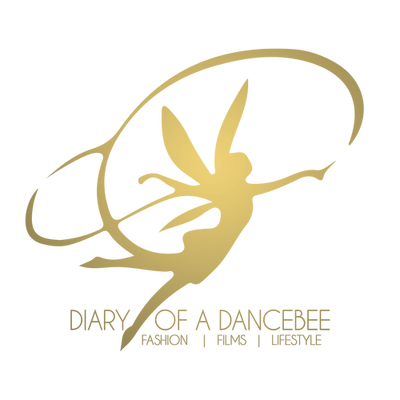 I use this colour for most of my dance performances. It looks brilliant on stage. I apply the eye shadow with a small stroke of Lakme's Eye Shimmer, which adds more bling to the overall look. For a normal day out, I just apply this eye shadow with a normal black eye liner/ pencil. This was a part of the Lakme gift hamper I got amongst many other items as a prize for winning Miss Kaleidoscope 2010 (The biggest event at Sophia College's annual fest Kaleidoscope). I've been hooked onto the Lakme Eye Shimmer ever since. Although very little product is left, I will go buy it again. Why? Because its the easiest way to get shimmery eyes in seconds (Perfect for parties, although I use it mostly for my shows). Its a golden shade which works best with Pink or Red hues. Another similar glitter product which I swear by is the Lakme Roll on dust glitter in Silver. But unfortunately, the roll on I had got over some months back. This was gifted to me by my sister. Although I don't really buy L'Oreal make up products (but I swear by their hair products), this one worked in my favour. I like the fact that it doesnt make my eyes look like a zombie and stays on for a good enough time. I also love Maybelline's Colossal Kajal (couldn't take a picture as it was lost somewhere during this photoshoot, found it again now) as it works wonders and is also quite handy. Its perfect for applying Kajal on the go. As my Colossal Kajal is on the verge of getting over, I've got myself a new MAC roll on eye pencil in Black, which I will review very soon. Love to be in love with this product. NYX soft matte lip creme in Milan is my favourite make up product right now. I wear it almost everyday, blending it with my lip balm or some other lipstick and sometimes just leaving it the way it is. I also have the shade Addis Abiba which was mentioned here while Milan was mentioned here. A pocket friendly High gloss Top Coat by NYX. I keep all my nail polishes in a separate vanity box. The quality of this product is good and so is the packaging. At Rs280, its a good bargain. Will definitely buy it again, but would love to try some other brands as well (Who knows, I might just get a better product). A winner in every sense. Looks absolutely gorgeous and its Pink! Revlon's 329 Madly in Love nail enamel is perfect for all seasons. Lasts for 10-12 days. I don't really remember the price, but every penny was definitely worth it. I love wearing this colour with glitter nail enamels. I picked up these cute little beauties just for fun as I found the colours very attractive. The product is actually good and lasts for 7-10 days. These pop colours in tiny bottles, Pink Flamenco and Atomic Orange by Faces are perfect for Spring/Summer. At Rs90/100 per bottle, this one is a steal! I have many other products which I love and I'm on the hunt for some more (as some of my products are getting over). Also, on a recent shopping spree, I got some good make up products from NYX and MAC (my first splurge at the store) which I will review very soon. dats a nice vanity bag!! Yep! It's spacious and looks great. Hi.. i am frantically looking for a similar one. glitter+ pink/red + spacious.. Can you please help.. Its 5 months and i haven't found even a single vanity case which is close to what i am looking for..